Hollywood began in an amusement arcade, so it's appropriate that its most profitable film should be as formally enchanting and psychologically sterile as a Gottlieb pinball machine. 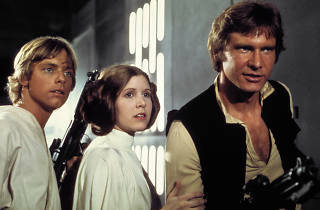 Star Wars is at least 40 years out of date as science fiction, but objections pale beside the film's major achievement: nearly 50 years after it was conceived, pulp space fiction is here for the first time presented as a truly viable movie genre. Discounting 2001, which isn't a genre movie, it's like watching the first Western to use real exteriors. And audiences rightly feel that this is something they've been owed for some time. Star Wars itself has distinct limitations, but the current return to a cinema of spectacle and wonder is wholly encouraging. Or would you prefer The Sound of Music? It's difficult to fathom what my life would be like without Star Wars. I remember watching it on VHS as a kid and becoming immediately obsessed with the somehow realistic sci-fi tale it wove, one that would lead me to all sorts of literature (Dune, Foundation) and other films (Indiana Jones, Willow). Whether he realized it or not, George Lucas' weird little special effects movie created a sandbox that nearly everyone wanted to play in. 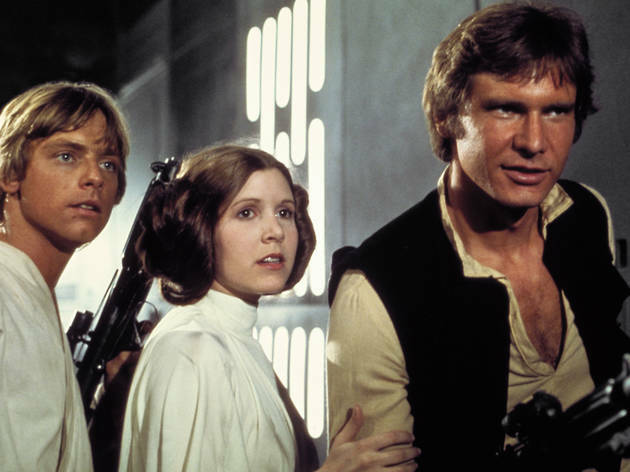 A few decades later, a generation that grew up on this movie (and its two sequels) is finally getting its chance—a testament to how timeless Jedi, Death Stars and roguish smugglers truly are. As someone not normally drawn into the sci-fi genre (and while Star Wars pushes the limits on that being its genre), this movie is fun to watch, as are its sequels. Let's just not talk about Episodes I-III.